An account statement is a document where details of an individual’s accounts are listed and presented as a form of formal report. Statement of accounts come in many different forms and are used for different reasons by different institutions. 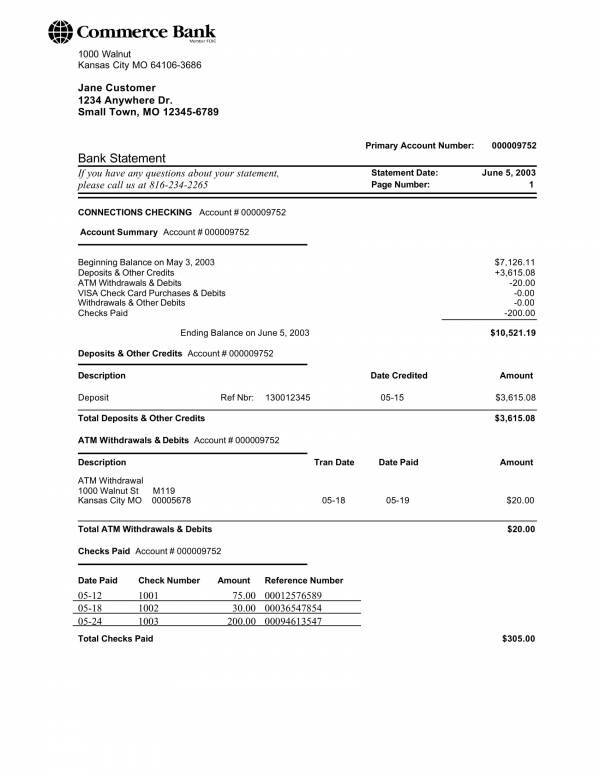 The most common and most popular type of account statement is bank statement. 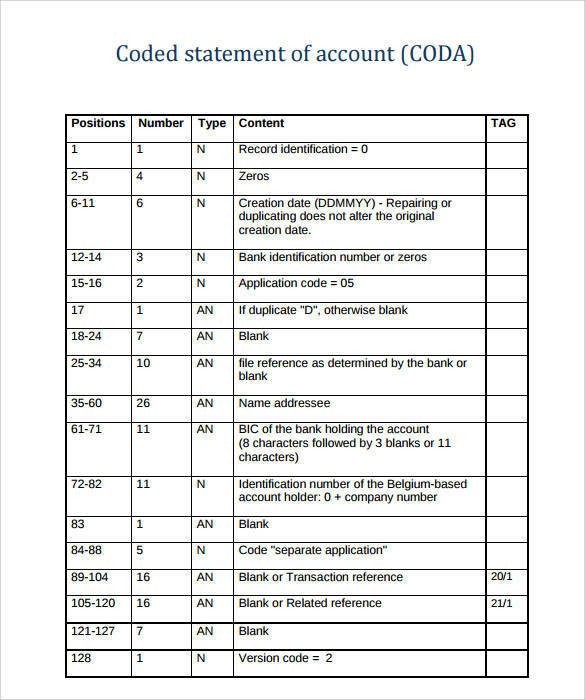 There are a number of important transactions that require an account statement and this is one of the reasons why this document is given such importance. In this article, we will be learning about account statements, its uses, the things included in it and many more. Different statement of account samples and templates are also provided for you to use as reference. Check them out below! When it comes to uses, so much can be done with an account statement. There are many different uses of an account statement and all of them are equally important. As we know of, it is mostly used in transactions that are related to business or finances. Here, we are going to list down what these uses are. 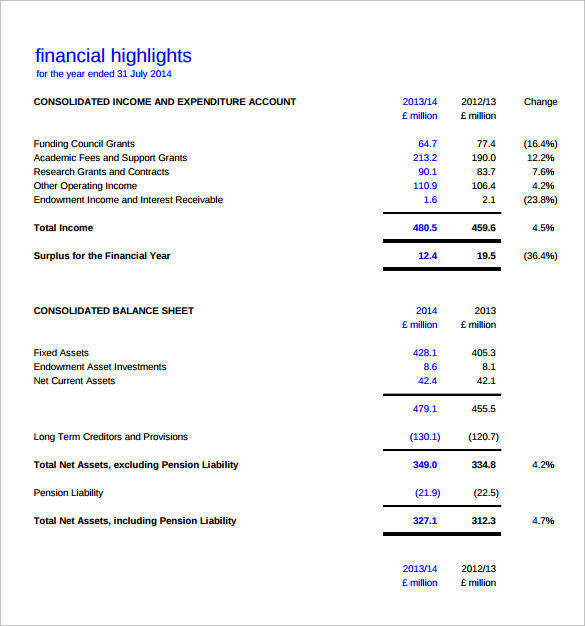 An account statement is most common in the banking industry. 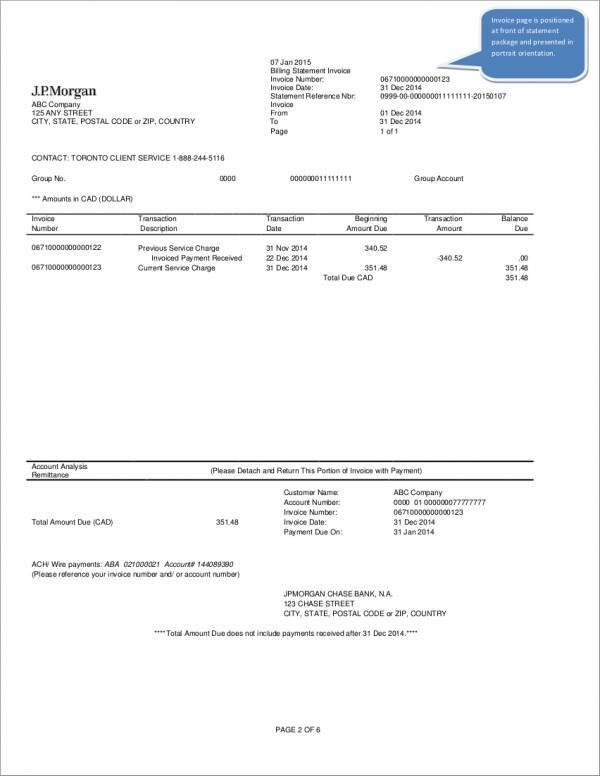 We request to get a copy of our this statement to declare that we have this amount in our bank accounts. Often it is required as part of the declaration of one’s assets, especially by government officials and public leaders. Embassy’s of certain country’s may also require you to present an account statement of your bank account often to inspect and show proof that you have the enough amount of funds for your travel and that you are able to survive in foreign land. 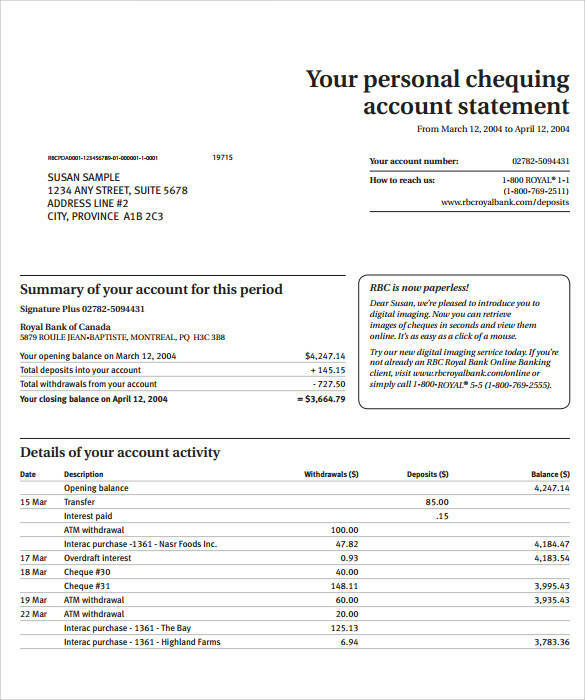 Another use of bank statements or account statements is for record keeping. How so? This is because they are detailed and contain accurate personal information. That is why it is very critical that banking institutions and other financial institutions take confidentiality a very serious matter. 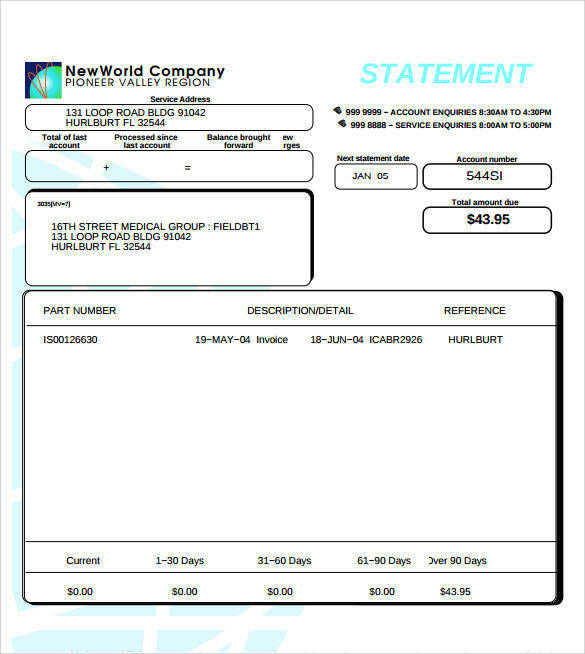 Monthly accounts statements or we call billing statements provide detailed information about our service accounts. They are used to remind service subscribers that payment is coming up and has to be settled before the stated due date. It includes the account number, billing period, payment amount and many more. Insurance companies also use account statements. This is where they record all of the payments that you have to your insurance account so far, which is showed to you whenever you need it. A loan account statement is used to show all of the details of one’s loan, which includes, their principal loan amount, their monthly amortization, the interest, the outstanding balance and many more. Planning to get a credit card? 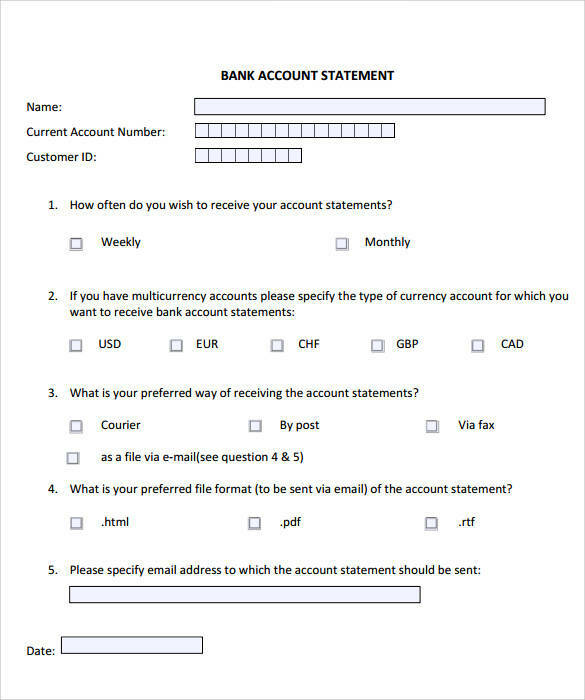 Well, you will need an account statement as it is one of the requirements for credit card application. An account statement can help in identifying if an account has been compromised or not just by looking at the account activities. There could be anomalous charges or withdrawals that the account holder has not made. There are ore uses of an account statement in the financial side of things as listed above. Still, its doesn’t lose its importance because of that. For all we know, money matters is important matters. 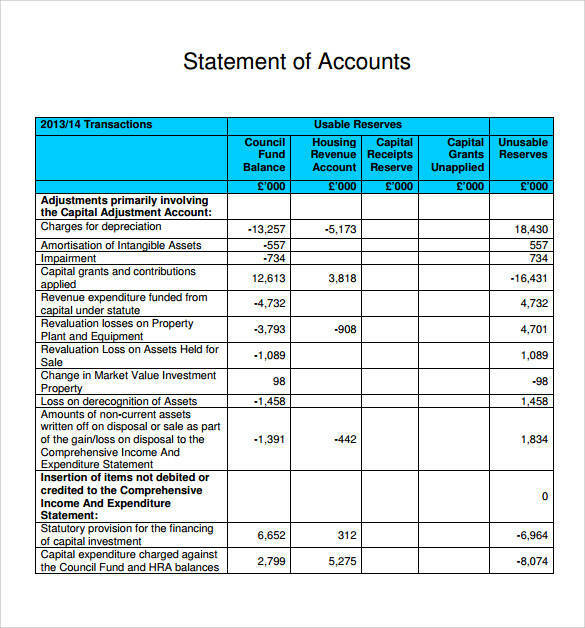 What other uses of an account statement do you know of that has not been mentioned above? You may also want to learn more about statements and other related articles, like Statement of Work Samples & Templates, Statement of Claim Samples & Templates, and Scope Statement Templates. How and Where Can You Get an Account Statement? There are a number of institutions or agencies where you can get an account statement and the processes that you need to follow vary depending on the that institution. 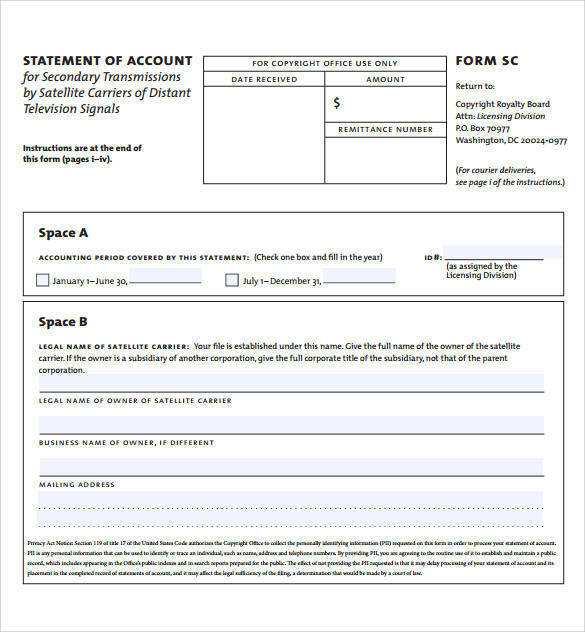 To be able to get an account statement form different institutions, you will need to follow their specific procedures. But we can’t really provide with all of those different procedures. What we can actually do is give you a general idea on the things that you can do to be able to get those account statements. 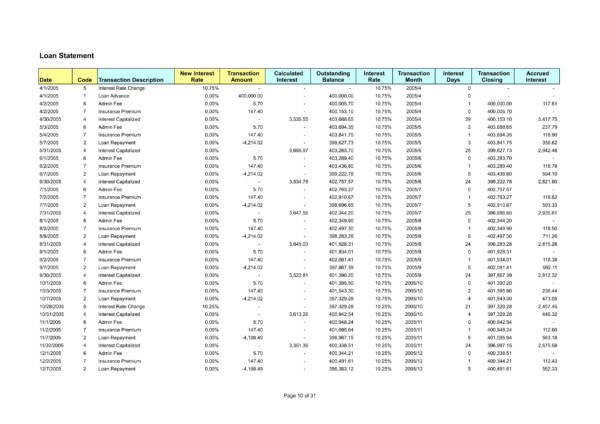 So here is a list of the places or institutions where you can actually get an account statement. School or university account statements can be requested from the school or university where one is studying, especially if you have an unpaid balance with them. So how can you get these account statements? As mentioned above, there are different ways that you should follow to get them. But you can do the following things to make every process easy and convenient. Before actually going to that institution or establishment to request your account statement, make a call or contact them first. If you already have their contact details, then good. If not, then look it up online. It won’t hurt if you inquire about their account statement process or ask if you can possibly request one online or by phone. Who knows, you might just get lucky. Check out their website for any a useful information. There are also blogs and other websites who can tell you of the things that you may need to do when processing an account statement for a certain institution. It’s better that you know something than not know anything at all. It helps you prepare for what you need. Look for the information desk and ask about what you must do to request for an account statement once you are already in the location, especially if you do not know anything yet. Do not be afraid to ask. Bring your own pen. There is a big chance that you will be asked to fill out something or sign something and having your own pen would be so much more convenient. Just in case they don’t have a pen, where you are going to. Make yourself presentable when personally requesting for your account statement. It will definitely make the process easier as people be more likely to help you if you look like a somebody. They would actually look at how you look and determine the level of service they give you. That is the sad truth that you must deal with. Always bring government IDs and other important documents that you think are need for the transaction. You don’t want to wait in line only to find out that you have to go back because you don;t have this and that. Finally, smile. Not that it’s a requirement, but it gives out a positive vibe that will help get things done smoothly. It might not be done quickly, but at least you won’t feel tired after all the processes that you have followed. Other related articles that you may find useful are Accounts Receivable Spreadsheet Samples and Templates, Rental Billing Statement Templates, and Declaration Statement Samples and Templates. 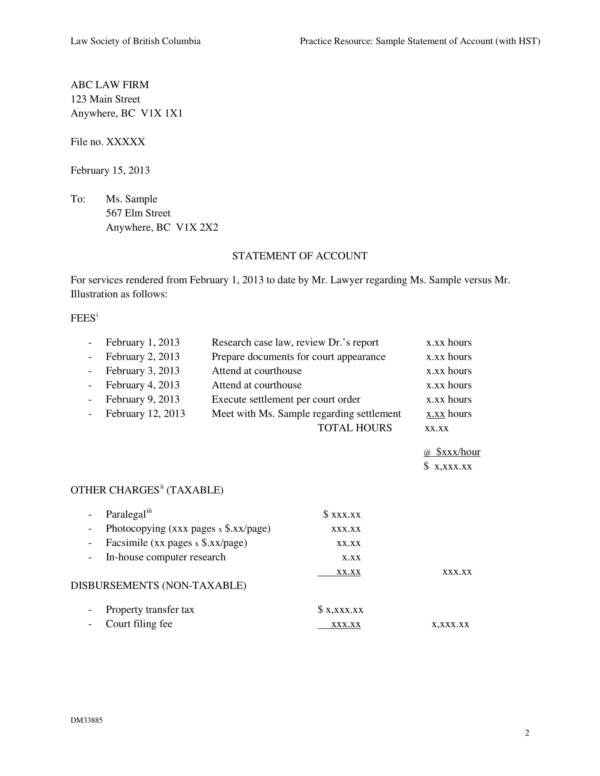 Why Use an Account Statement Sample or Template? Everyday, we deliberately find ways on making our lives easier and better. That is basically the reason why are now enjoying advancements in technology, hi-tech gadgets, transportation and state of the art house, buildings and equipment. These things have succeeded in providing us convenience. There are also small things that offer the same kind of convenience that we have been looking for and they are samples and templates. Samples and templates, specifically account statement samples and templates are tool that are used as reference, source of information and source of learning. When one is new to the word of account statement, they learn about it checking out samples and templates that are available to them. 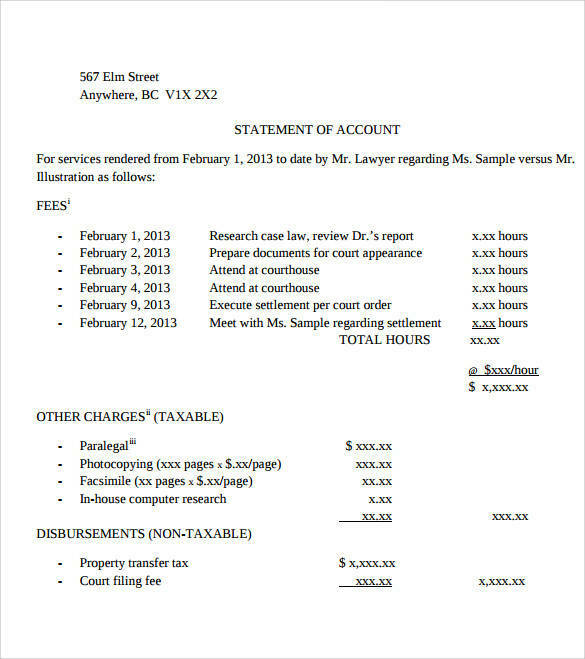 They also use it as a sample case where they get to analyze and find faults in the account statement. 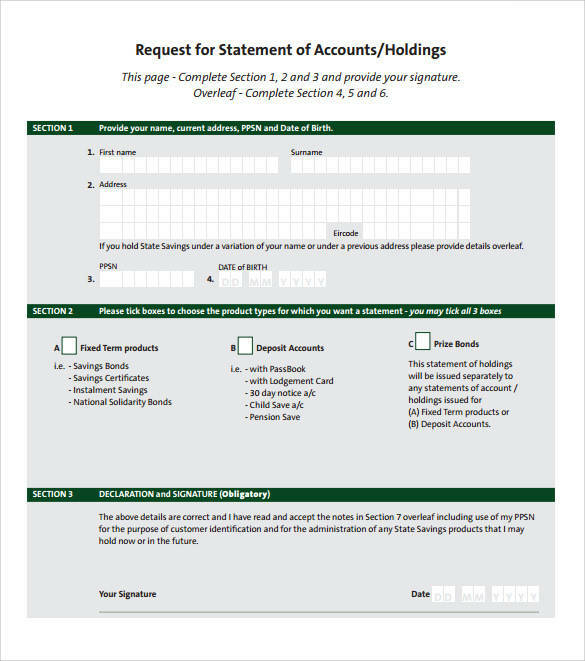 If your job includes, providing or issuing account statements to clients, then using an account statement template will make it easy for you to produce the document, which saves you time. 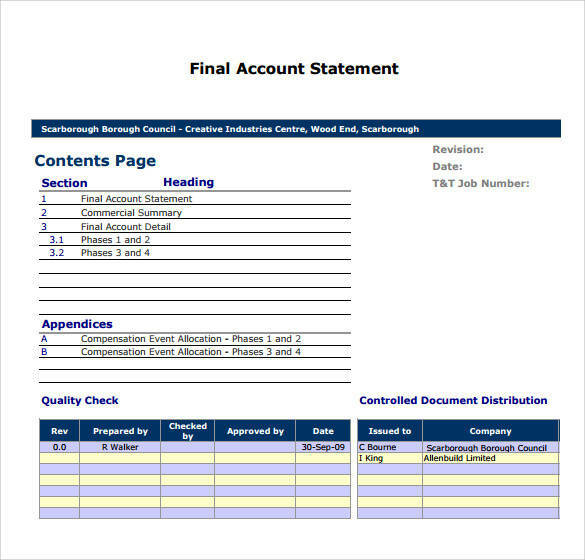 Some individuals also use account statement samples and templates as their own by editing or making a couple of changes to the actual document. 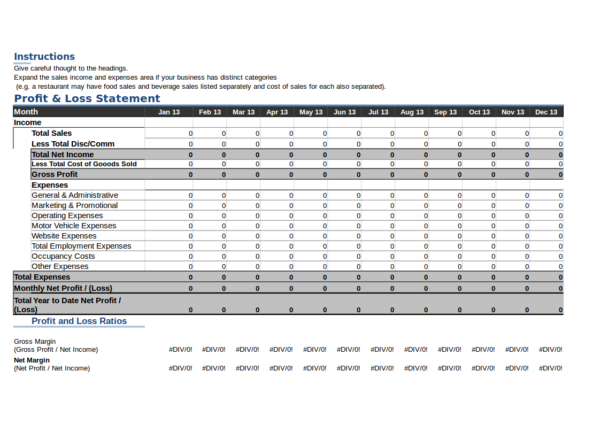 Do you have a personal reason for using account statement samples and templates? If so, then what it is? There are a lot of advantages that account statement samples and templates have to offer that is why they continue to exist in a time where almost everything can be done through technology. 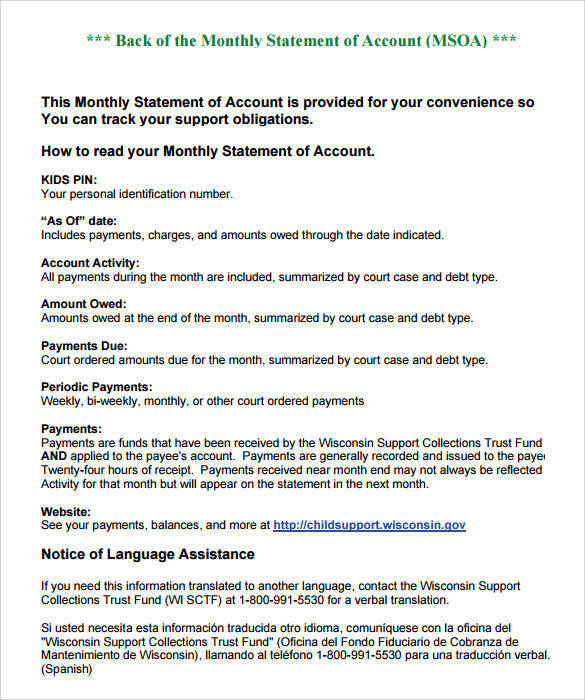 We hope that you are able to learn about account statements from this article. If you need more samples and templates or want to learn more about related topics, then you may check other articles on our website. To name a few are Yearly Income Statement Samples and Templates, Landlord Statement Templates, and Compliance Statement Samples & Templates.